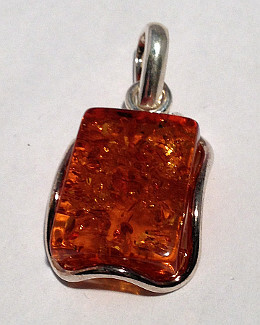 Elegant Curved design Amber set 22mm size Sterling Silver Pendant. Sterling Silver large Amber set Pendant with leaf design or can also be used as brooch (brooch pin fitted as well as pendant bale). 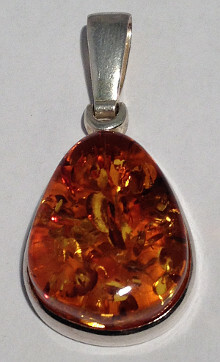 Sterling Silver stunning Teardrop shaped Large Amber Pendant. Hallmarked 925 Silver, approx. 50mm drop x 24mm wide large size. 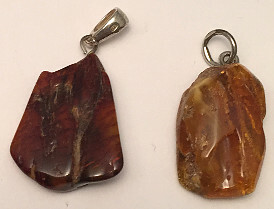 Large Amber Pendant set in Sterling Silver wire design with Sterling Silver Pendant Bail. approx. 38mm drop by 19mm wide pendant. 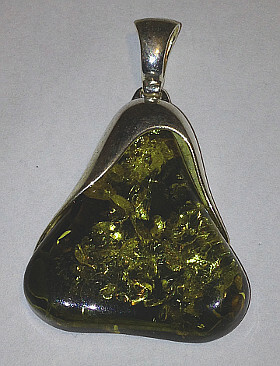 Large Pear shaped Green Amber Pendant set in hallmarked Sterling Silver shaped pendant setting and bail. Dimensions 29mm wide with 45mm total drop height. Round shape Amber set Sterling Silver Pendant, 20mm diameter with 25mm drop. Ideal pendant for Silver Snake style Chain. 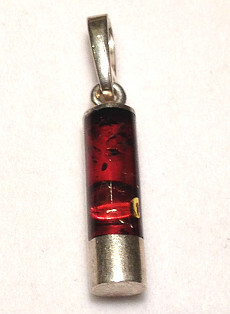 Sterling Silver cylinder shape pendant inlaid with genuine Amber. Size 32mm drop, 6mm wide. 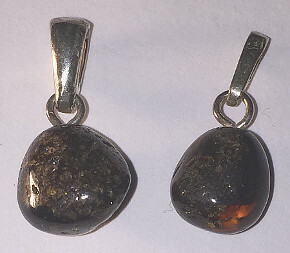 Rough polished Baltic Dark Amber Sterling Silver Pendant. 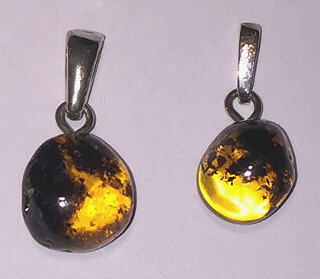 Round Amber polished 10mm size Sterling Silver Pendants, partially clear Baltic Amber with dark inclusions. 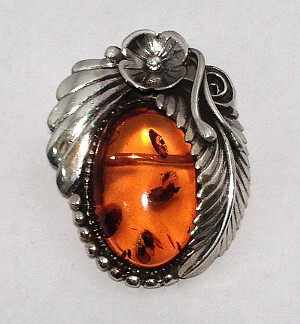 Genuine Baltic Orange Amber freeform Sterling Silver Pendant, approx. 25mm size. 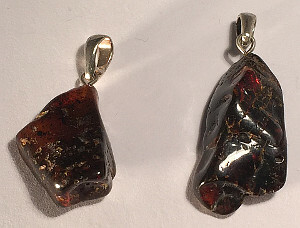 Genuine Baltic Amber freeform Sterling Silver Pendant, approx. 25mm size. 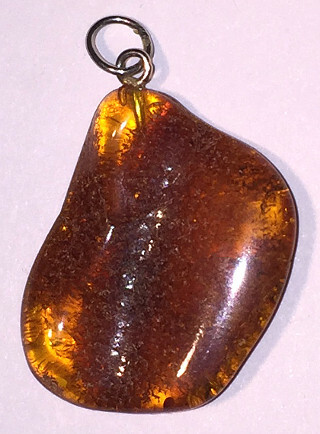 Pear shaped large rough polished freeform Amber Sterling Silver Pendant #025. Freeform Oval Baltic Amber rough polished Sterling Silver Pendant #026. 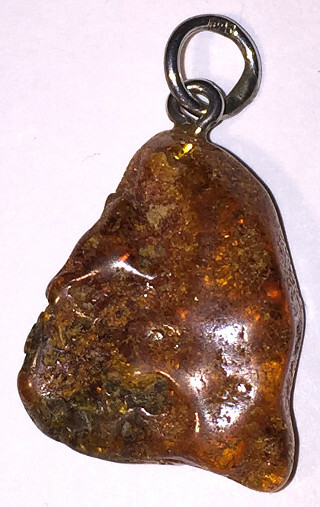 Baltic Orange Amber freeform rough polished interesting shape pendant. 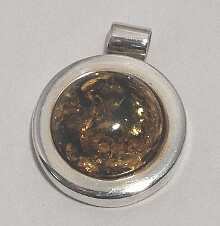 Part transparent with inclusions genuine Amber with Sterling Silver pendant loop attached. Size 18mm x 28mm. Item reference #027. 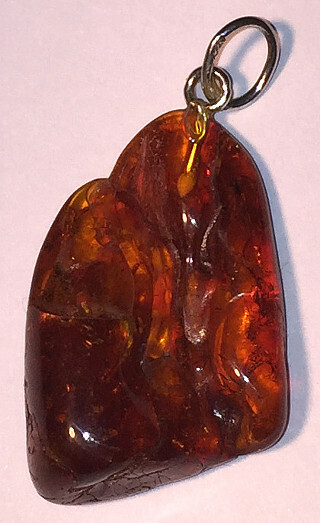 Unique Baltic Amber Pendant with Sterling Silver loop attached. 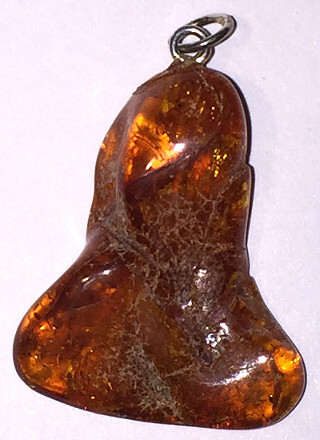 Honey Amber with textured surface, part transparent and dark coloured corner creating a unique piece. Size 17mm x 25mm. Item reference #028.